We can arrange a taxi to meet you at the airport. However, you can get a taxi at the airport directly but we don\\\'t take the responsibility for the airport taxis! In front of the airport you can find the bus â��322 Sky Bus, shuttle service at affordable price (it goes from Boryspil Airport to the Central Railway Station (Ð�Ð�Ð�Ð�Ð�Ð� - Volkzal)). Those buses leave every 10-15 minutes. The Vokzal\\\'na metro station is 100 meters to the left from the train station main entrance. Walk in there, buy a token per person, go down the escalator and take the right-hand train direction. Go to the \\\"Khreschatik\\\" station. Once you are on the \\\"Khreschatik\\\" station, change the blue line to the \\\"Maidan Nezalezhnosti\\\" station and take a train to \\\"L\\\'va Tolstogo\\\" station (1stop). Exiting the station go a bit straight and after 10 meters turn right again to exit the underpass. Now you are on L\\\'va Tolstogo Str. You need to walk up the street 200 meters (pass \\\"Watsons\\\" shop) and on the first corner turn left (before the big crossroad). 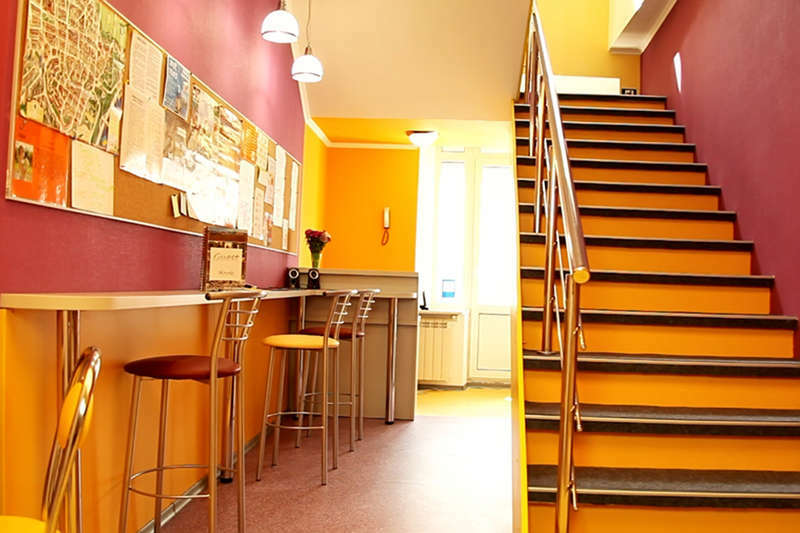 ZigZag Hostel\\\'s entrance is just in 100 meters. You will see our sign there (next to the Gorkiy Pub). IMPORTANT: we are located in the building â��3-A on the 6th floor. Code on the front door is 18. In case of the cancellation up to 3 days before the day of arrival there is no fee. If cancellation is later this period there is a fee that equal to the one night rate and in case of no show - 100% of the entire stay. Our cancellation policy for groups (5 and more people) demands 7 days advance notice, charging 50% of the entire stay in case of later notice and 100% in case of no show.